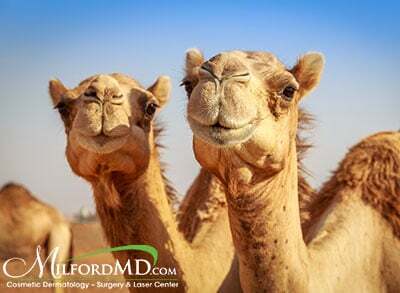 Dr. Richard Buckley comments on an NPR news article reporting on camels being disqualified in a beauty pageant in Saudi Arabia because the animals were treated to Botox to enhance their looks. That makes sense, according to the cosmetic surgeon. NPR reported that 12 camels competing in a beauty pageant in Saudi Arabia were banned from the competition because the camels had received Botox injections. Apparently, the Botox injections were given to the camels to make them more attractive. Word is, a veterinarian was caught injecting the camels in the days preceding the pageant, which resulted in the widespread disqualifications. NPR reported that 12 camels competing in a beauty pageant in Saudi Arabia were banned because they had received Botox injections to enhance their looks. For Dr. Buckley, it comes as no surprise. 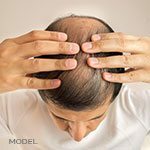 Some even call botulinum toxin a miracle drug, as the injections seem to help with migraines, depression, excessive sweating and more. 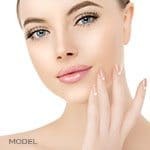 In a study published in the Aesthetic Surgery Journal, patient satisfaction with their overall appearance rose 28 percent after botulinum toxin injections to the lines many call the “11’s,” which are those that seem to deepen between the brows as people age and scowl. Botulinum toxin injections take about 10 minutes and are performed in the office. The injections, aimed at relaxing the lines around the mouth, at the crow’s feet, between the eyes or around the forehead without changing the foundation of one’s facial expression, last about four months, according to Dr. Buckley. The injectable drug works by temporarily reducing muscle activity in those areas. And the FDA has approved Botox, Dysport and Xeomin, today’s most popular botulinum toxins used in aesthetics, he says.